Zombillenium where have you been all my life? Oh how I love you. Zombillenium is a unique amusement park to say the least. See it doesn’t just hire anyone: mere mortals need not apply—only genuine werewolves, vampires, zombies, and other citizens from the undead community are employed. Crazy shenanigans ensue. MARVELOUS!!! Laugh-out-loud kind of marvelous. I love the wryly humorous and lighthearted take on the traditional horror genre. All the characters have unique and creative personalities. Super short read but totally worth it. Highly recommended. 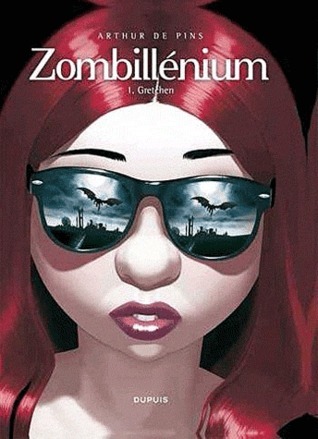 This entry was posted in Ghost, Graphic Novel, Magic, Monsters, Paranormal, Vampires, Werewolf, Witches, Young Adult, Zombie and tagged Arthur de Pins, Gretchen, Zombillenium. Bookmark the permalink.